One of the world’s only flowers named after a city and endemic to its surrounding area has blossomed in Istanbul’s Aydost Woods this year in a sign of the coming of spring. 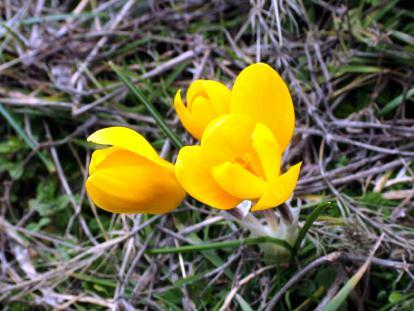 The Istanbul Çiğdemi – also known by its full name in Latin, Crocus olivieri istanbulensis – was discovered and introduced to the world by British scientist Brian Mathew in 1982. Found only in the Aydost Woods in Istanbul’s Sultanbeyli district, it normally blossoms in February. Typically only 20 to 30 plants are found in the woods each year.